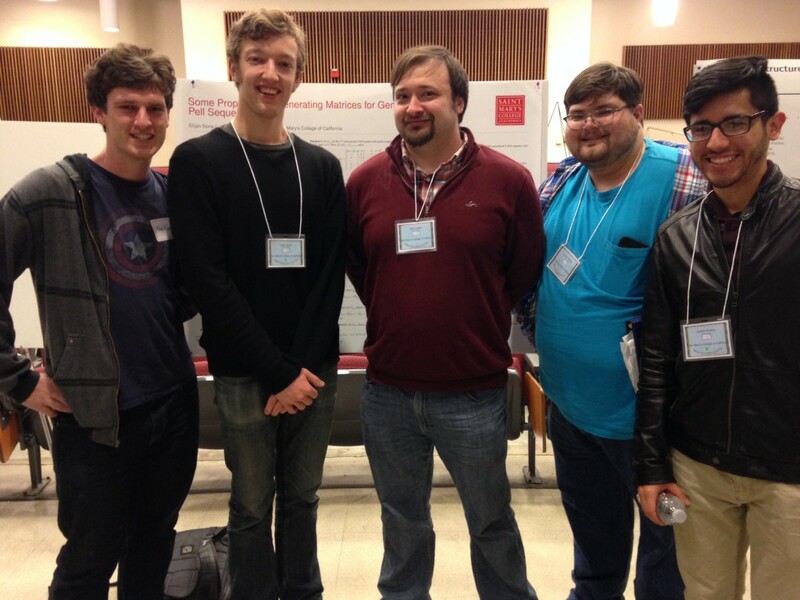 Saint Mary’s College was well-represented at this year’s meeting of the MAA Golden Section, hosted by UC Davis on February 27th. Math majors Alex Lowen and Elijah Soria (seniors) and Joe Dominic (junior) presented posters on their recent research. Seniors Alan Kane and Andres Diestra tagged along for moral support…and to learn new mathematics! 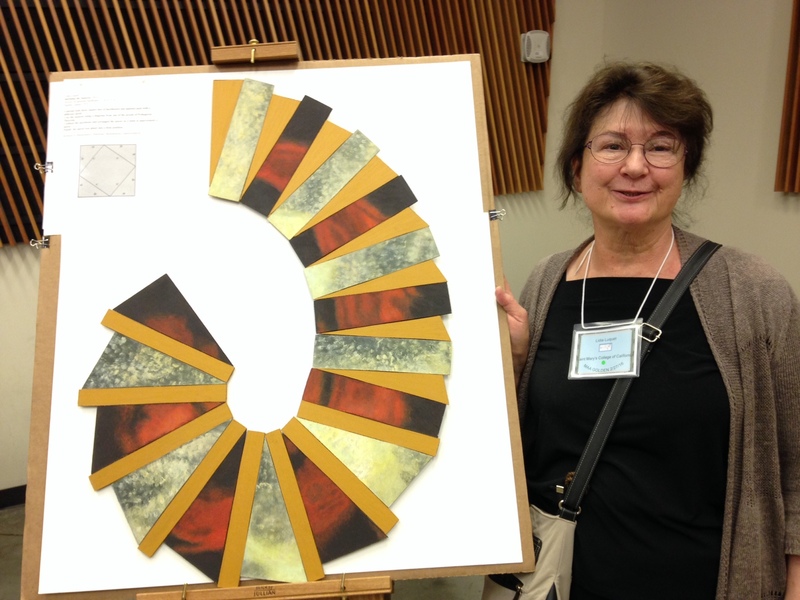 Meanwhile, the multi-talented Emerita Professor Lidia Luquet presented two of her own pieces at the first-annual Mathematical Art exhibit.